Grab your kit and your tripod and join us on our photography holidays in Tuscany! We offer photography holidays in stunning Tuscany. Where better to learn and practice your photography skills than being surrounded by beautiful Tuscan landscape? Let this iconic region of Italy inspire you and immerse yourself in its authentic and traditional ways. One of our photography tutors will guide you through the week, offering advice and tuition in order to improve your technique and understanding of photography. Your time in Tuscany will be very hands-on and you will have the opportunity to photograph a variety of subjects, including food, people, landscapes and more. The course will cover all the basic skills you need to complete the week with a portfolio of images to be proud of. The opportunities are endless. Learn how to capture dramatic vistas from hilltop locations. 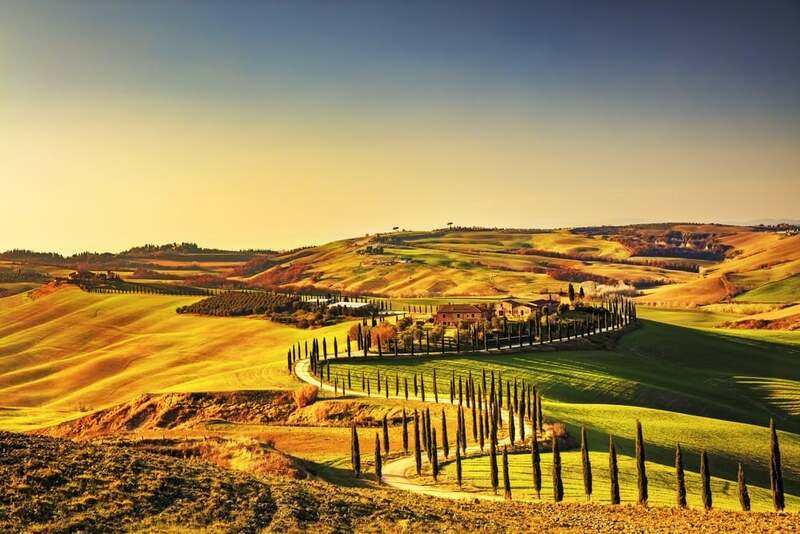 Spend an afternoon capturing Tuscany’s iconic landscape in the famous ‘Crete Senesi’ area. 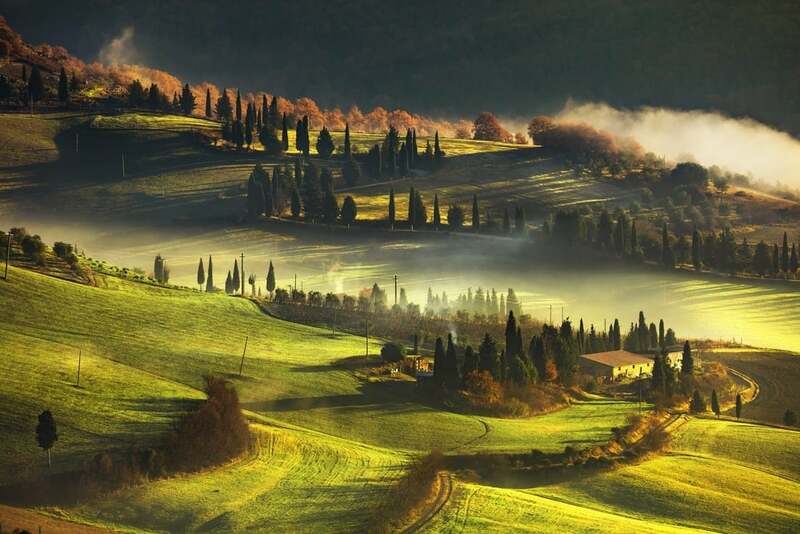 Create your own picture postcard professional photographs of the Tuscan countryside. Walk the ancient streets of Siena photographing its medieval architecture and its famous Piazza del Campo. End the day at the top of the Torre del Mangia to capture sweeping views over the city and surrounding countryside. 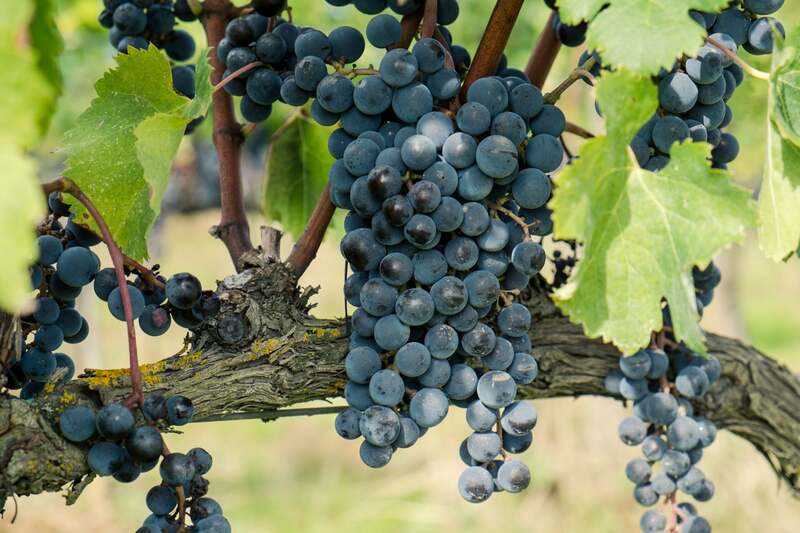 Visit local wineries and stroll among the vines, taking close-ups of the grapes. A private tasting is included in the price of the holiday. Enjoy sampling local wines and learning more about the wine-making process in Tuscany. Relax in the evenings and enjoy local Tuscan food cooked by your own private chef, chatting with your fellow photographers, sharing tips and showcasing your work. Our Photography run in May and September, and are also available in Sicily as well as Tuscany. For more information visit our new photography page. Are you a group of photographers? We can arrange holidays for private groups, just contact us. If you found this blog post interesting, we’d love you to share it. Want to read more about all things Italian? Sign up to our blog to receive updates. Thanks!